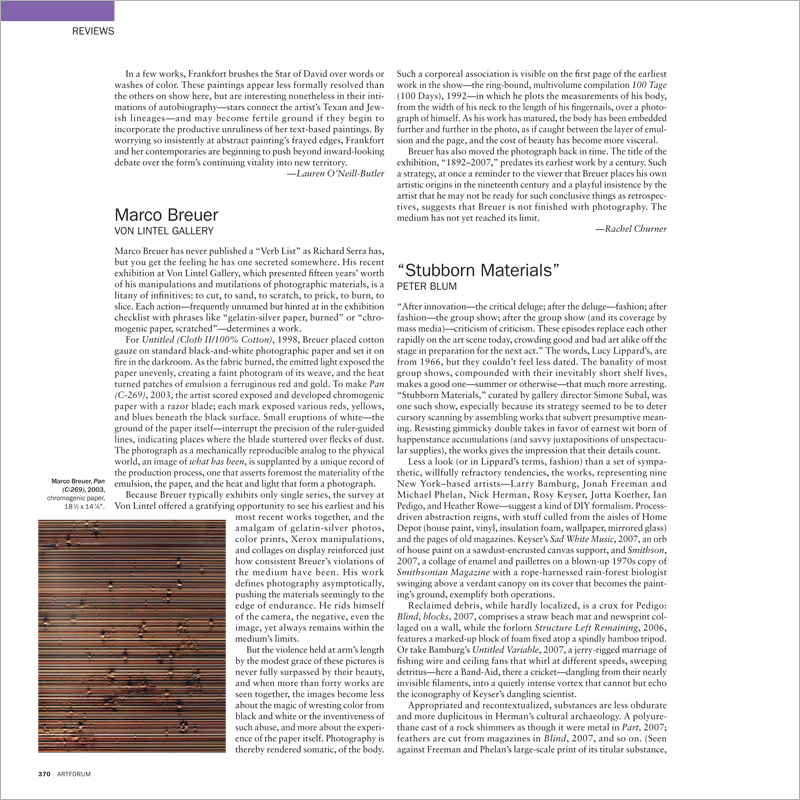 Marco Breuer has never published a “Verb List” as Richard Serra has, but you get the feeling he has one secreted somewhere. His recent exhibition at Von Lintel Gallery, which presented fifteen years’ worth of his manipulations and mutilations of photographic materials, is a litany of infinitives: to cut, to sand, to scratch, to prick, to burn, to slice. Each action—frequently unnamed but hinted at in the exhibition checklist with phrases like “gelatin-silver paper, burned” or “chromogenic paper, scratched”—determines a work.